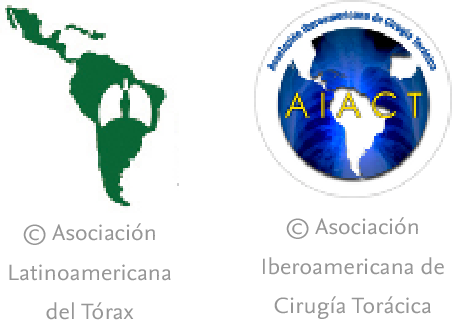 Archivos de Bronconeumologia publishes original studies whose content is based upon results dealing with several aspects of respiratory diseases such as epidemiology, pathophysiology, clinics, surgery and basic investigation. Other types of articles such as reviews, editorials, special articles, scientific letters and letters to the Editor are also published in the Journal. It is a monthly Journal that publishes a total of 12 issues, which contain these types of articles to different extents. All manuscripts are sent to peer-review and handled by the Editor or an Associate Editor from the team. The Journal is published both in Spanish and English. Therefore, the submission of manuscripts written in either Spanish or English is welcome. Translators working for the Journal are in charge of the corresponding translations. Access to any published article, in either language, is possible through the Journal web page as well as from Pubmed, Science Direct, and other international databases. Furthermore, the Journal is also present in Twitter and Facebook. The Journal expresses the voice of several scientific societies such as the Spanish Respiratory Society of Pneumology and Thoracic Surgery (SEPAR), the Latin American Thoracic Society (ALAT), and the Iberian American Association of Thoracic Surgery (AICT). The journal is indexed at Science Citation Index Expanded, Medline/Pubmed and SCOPUS. Articles will have a maximum length of 3,000 words. If this length is exceeded, proper justification will be given by the authors in the cover letter. A maximum of 6 figures and 6 tables will be accepted. A maximum of 40 bibliographical references can be included. Although the number of authors will not be limited, they must have made a significant contribution to the manuscript results and writing. In the cover letter, in a totally independent document, the specific contribution of each author will always be specified. In the revised version by the authors, a graphical/visual abstract will have to be included compulsorily in the revised manuscript version, which will be published along with the manuscript. See below specific instructions to elaborate the graphical/visual abstract. These will be articles written by authors who are experts on a given subject. In articles of this type, authors will express an opinion or position about the topic in question, on the basis of scientific evidence, with regard to a specific and relevant aspect which is novel or controversial. Short reviews on a given topic will not be accepted, but articles that reflect the scientific opinion of an author who is an expert on the subject concerned. Editorials can be comments on articles published in the same issue of the journal, on an article previously published, or on other aspects of general interest to the scientific community that are not reflected in any other type of articles of the Journal. The editorials will be explicitly commissioned by the Editorial Committee of Archivos de Bronconeumología. In exceptional cases, the Committee may consider the acceptance of unsolicited editorials, on novel or controversial topics, submitted by authors with experience and publications in the topic in question. Editorials will always be peer-reviewed, and the final decision will be made on the basis of the comments from the expert reviewers and the Editors. Articles should never exceed 1,000 words, with no abstract, graphs or tables. A maximum of 3 authors and 15 references will be allowed. These will be articles in which a topic of interest will be reviewed on the basis of an up-do-date and objective view extracted from the most relevant and recent publications dealing with the subject in question. The authors will not have to give their own view/opinion about the topic in question, but they will have to provide a summary of the state-of-the-art in an organized, structured, and adequate manner. As a rule, reviews will be commissioned by the Editors of Archivos de Bronconeumologia to expert authors, who have experience and publications in the subject under review. Occasionally, the Journal may accept unsolicited reviews by the authors. Authors wishing to submit a review should always contact the Editor first. The Editorial Committee will decide whether the authors meet the criteria required for the submission of articles of this kind, on the basis of both their publication record, especially of original articles, and the interest of the suggested topic. Review articles will always be peer reviewed, and the final decision will be made on the basis of the comments from the expert reviewers and the Editors. Reviews will have a maximum length of 3,000 words. The article will include a 250 word abstract, which will not be structured, and will have a maximum of 6 figures or tables. The number of authors will be limited to three, except where adequate justification is provided. There is no limit to the number of references. These will be review articles commissioned by the Editorial committee of the Journal. As a rule, these articles will deal with issues of particular relevance for the scientific community, institutional documents issued by the scientific societies for whom Archivos de Bronconeumologia expresses their voice (especially in the case of guidelines, statements, and consensus reports), as well as the description of new techniques or diagnostic or therapeutic procedures. Special articles will always be peer-reviewed, and the final decision will be made on the basis of the comments from the expert reviewers and the Editors. The instructions with regard to the length and presentation format will be the same as those that apply to the review articles, as described in the previous section, except for the abstract, which will be unstructured and of 150 words. In some specific cases, authors may request the modification of the established limits, specifically and particularly in the guidelines, statements, and consensus reports). In the case of the guidelines, the GRADE recommendations must always be followed in order to define the force of the recommendation: Guyatt G et al. J Clin Epidemiol 2011; 64: 383-94. The section “SEPAR’s voice” will express the positioning of SEPAR, through guidelines, statements, and consensus reports in the Journal. Lastly, in the case of institutional documents of the society, confirmation of the final approval of the corresponding scientific committee (SEPAR) will always be uploaded in the submission, as well as that of other societies that may also be involved in the consensus report. In the journal, the title, authors, affiliations and unstructured abastract in Spanish and English of a maximum of 250 words will be published in a single page, and as an additional material the full content will be published without restrictions in the total number of words or references or in the number of figures or tables. Two different types of letters are defined. Letter to the Editor: These articles will be addressed to the Editor, and comments in favor or against articles recently published in the Journal will be argued. On other occasions, it will be possible to comment on results published in other respiratory journals. Letters to the Editor will always be peer reviewed, and the final decision will be made on the basis of the comments from the expert reviewers and the Editors. The maximum length of such a text will be 500 words, and a total of one table or one figure will be accepted. Information that may potentially reveal the identity of the patient must not be included in either the text or the images. A maximum length of 500 words, together with a maximum of 1 figure and 1 table will be accepted. A maximum of five references will be accepted. Scientific letter: They will also be addressed to the Editor and will contain information on clinical observations from patients, experiences or results that cannot be published as an original article but which warrant disclosure to the scientific community in the form of a Letter to the Editor. Letters to the Editor will always be peer-reviewed, and the final decision will be made on the basis of the comments from the expert reviewers and the Editors. The maximum length of such a text will be 1,000 words, and a total of one table or one figure will be accepted. Information that may potentially reveal the identity of the patient must not be included in either the text or the images. A maximum of fifteen references will be accepted. This section will consist of the publication of an endoscopic or pathological image or video clip, of special singularity as a result of the unusual clinical presentation of the underlying disease or diagnosis. The clinical image or video clip will be accompanied by a brief text (no longer than 200 words) about the main clinical features and diagnosis of the patient. A maximum of two (2) references will be allowed as support to the text. The video clip will always be submitted in an “.mp4” format and will not exceed 150 megabytes size. The number of authors will not exceed three (3) for this type of publication. The Journal may include other sections whose articles will be commissioned by the Editors to renowned national and international authors who are experts on a given subject. The submission of unsolicited manuscripts by expert authors may also be considered by the Editors. However, authors interested in submitting an article of this kind will always have to send a request to the Editors of the Journal beforehand. The Editors will decide whether the eventual acceptance of the article will be of interest to Archivos de Bronconeumologia. The Editorial Committee will decide whether the authors meet the criteria to submit this type of manuscripts regarding their publication record of original articles in the topic in question. The instructions to authors for this type of articles will be specifically established by the Editors in each case. This type of articles will always be peer-reviewed, and the final decision will be made on the basis of the comments from the expert reviewers and the Editors. A gold open access publication fee is payable by authors or on their behalf, e.g. by their research funder or institution. The open access fee for this journal is 3000 EUR excluding taxes. Learn more about Elsevier's pricing policy. Cover letter. All articles submitted must always be accompanied by a cover letter, addressed to the Editor in Chief of the Journal, in which the manuscript title, the section of the Journal in which it is intended to be published, and a brief summary of the novelty and relevance of its contents must be included. Besides, in the cover letter, it should be clearly stated that no part of the contents of the manuscript has already been published in any other journal, that all the authors agree to the reported contents and transfer their copyright to SEPAR. Any granted permissions for the reproduction of materials that have already been published must also be included. This will particularly affect manuscripts submitted under the “review” and “special article” categories. Besides, the authors will have to to declare openly any potential conflict of interest that might be directly or indirectly related to the manuscript contents. If no conflict of interest exit, the authors will have to declare: “The authors declare to have no conflict of interest directly or indirectly related to the manuscript contents “. Conflicts of interest, in the broadest sense, will generally be of an economic or scientific nature. Authorship page. The manuscript of any kind will always have to be accompanied by a separate document which will be the first page of the manuscript itself. The title of the manuscript, the authors’ names as they usually appear in the international databases, the full names of their institutions, as well as the name and contact information, including postal address, telephone number, and email of the corresponding author will have to be clearly indicated. The word count of the main manuscript body (the abstract, ref-erences, and figure legends are excluded from this count) will be reported at the end of the authorship page in all types of articles. Divide your article into clearly defined sections. Each subsection is given a brief heading (Introduction, Methods, Results and Discussion). Each heading should appear on its own separate line. Subsections should be used as much as possible when cross-referencing text: refer to the subsection by heading as opposed to simply 'the text'. The headings will consist of: «Introduction», «Methods», «Results» y «Conclusions». The graphical abstract is mandatory for the original articles section. The graphical abstract should summarize the contents of the article in a concise, pictorial form designed to capture the attention of a wide readership. Graphical abstracts should be submitted as a separate file in the online submission system. Image size: Please provide an image with a minimum of 531 × 1328 pixels (h × w) or proportionally more. The image should be readable at a size of 5 × 13 cm using a regular screen resolution of 96 dpi. Preferred file types: TIFF, EPS, PDF or MS Office files. You can view Example Graphical Abstracts on our information site. You have the option of converting any or all parts of your supplementary or additional raw data into one or multiple data articles, a new kind of article that houses and describes your data. Data articles ensure that your data is actively reviewed, curated, formatted, indexed, given a DOI and publicly available to all upon publication. You are encouraged to submit your article for <IT>Data in Brief</IT> as an additional item directly alongside the revised version of your manuscript. If your research article is accepted, your data article will automatically be transferred over to <IT>Data in Brief</IT> where it will be editorially reviewed and published in the open access data journal, <IT>Data in Brief</IT>. Please note an open access fee is payable for publication in <IT>Data in Brief</IT>. Full details can be found on the <URL><HREF> http://www.journals.elsevier.com/data-in-brief</HREF><HTXT>Data in Brief website</HTXT></URL>. Please use <URL><HREF>http://www.elsevier.com/dib-template</HREF>this template<HTXT></HTXT></URL> to write your Data in Brief.